Lucy Dunce has been a full-time maker since graduating from Camberwell School of Art in the 80s. 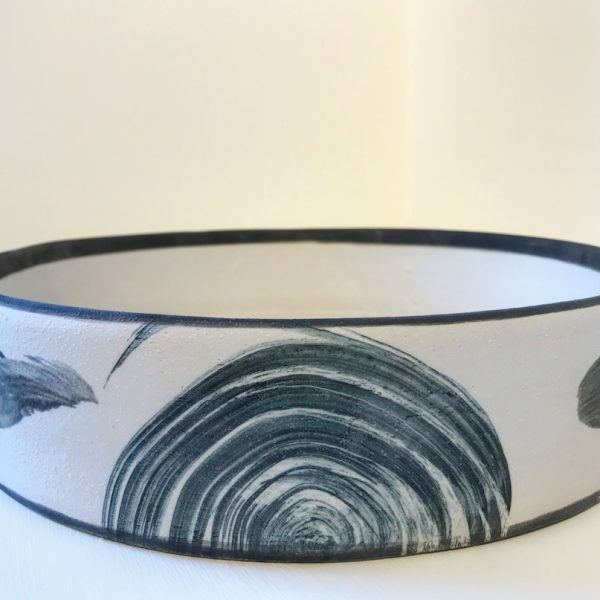 She was shortlisted for the Inches Carr mentoring Award at Alight 2019 as part of the annual Visual Arts Scotland (VAS) open exhibition. This most recent body of work has a strong connection with the abstracted ceramic installations made in her twenties and continues to be the primary focus of current and ongoing work. Vessel making runs as a parallel activity with themes from the two distinct areas of her practise occasionally overlapping in mark making and form building. This exhibition will show vessels with an emphasis on abstract and repetitive mark making.